It is not often that one gets to interview one’s heroes. 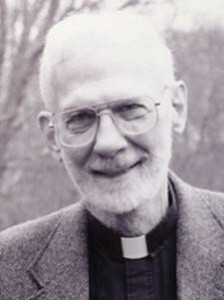 The theologian, writer and Episcopal clergyman Robert Farrar Capon has been retired for over ten years at this point, during which time he has become an influential figure for many of us. Anyone who has read Capon’s books knows that the man possesses a rare gift for expressing the radicality of God’s grace for “freedom-dreading” men and women in ways that are accessible, pastoral, humorous, provocative (in the best possible sense) and truly gracious. In other words, he is a model for much of what we would like Mockingbird to be, and a major inspiration. His esteem for the Bible is as obvious as it is infectious, his grasp of the Gospel nothing short of heaven-sent, yet his tone is utterly grounded in the very real troubles of you and me. 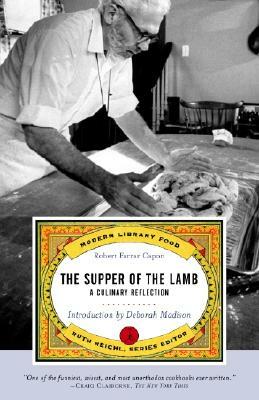 Dr. Capon has written commentaries, memoirs, works of theology, novels, even cookbooks – all of which we would highly recommend. He can push the envelope when need be, but it’s only in the service of staking out the expansive grace of God among people who would seek to hedge it in at every turn. The message of the cross, of death and resurrection, meets with so much resistance, from both inside and outside the Church (not to mention within each and every one of us). As you’re fond of saying, the message of Christ is a foolish message, through and through. Do you have any fresh thoughts on how to connect this Word with suffering and conflicted people? Turn the question around —The message is for suffering and conflicted people. Christ on the cross meets us in our suffering and conflicts not in the promise to take them away. He is simply with us in all our times. Many of us are young, and in the midst of raising small children. Needless to say, we could use some encouragement about how to integrate your message with parenting. Bearing in mind the perpetual temptation we all have to fashion “a new law” – to usurp God’s role etc – do you have any fresh thoughts on how the message of the Gospel relates to the raising of children? Look at God the Father and how he loves us all as His children. How do you think He parents you and then do likewise. As both a writer of fiction and a lover of theology, what works of fiction (novels, plays, films) have you found most formative, inspiring or just plain indispensable? Do you have any reading recommendations for us? The Greek New Testament is the only indispensable book I have read. For entertainment and pleasure I have enjoyed all of C.S. Lewis and Charles Williams and T.S. Eliot’s work (both books and films). Julian of Norwich most definitely and some modern books The Shack and the Joshua series. My wife Valerie and I once ran a film discussion course at St. Luke’s East Hampton. Over the course of a year, the group watched the films together and then we discussed them. The idea was always to look for the Christ figure (around which the whole story depended). A few of the films we watched were Jesus Of Montreal, The Cotton Patch Gospel, Godspell, and The Last Temptation of Christ. We also watched non-gospel films. It was lots of fun and the discussions were stimulating and illuminating. Try it. What do you consider to be your most important or lasting work? (And why?) Were you surprised by the response to any particular project? 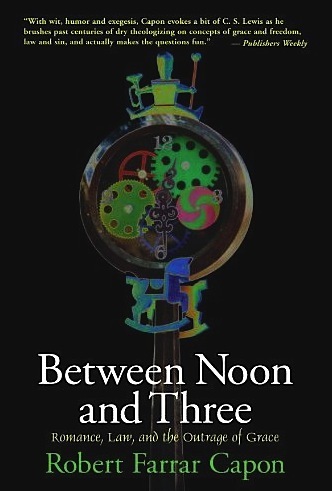 My most important book is Between Noon and Three. It took 10 years, 25 rejections and 7 revisions before it got published. The outrageousness of God’s indiscriminating Grace always gets people and publishers stirred up. It seems to have made a huge mark from what I have heard from many people. The first time it was published they dropped the last third of the book in which I deal with the eschatology. So I had to write another book The Youngest Day to deal with Death, Judgment, Heaven and Hell. The latest version has kept the original book as I wrote it. I would also put my Parable books [collected in the volume Kingdom, Grace, Judgment] at the top of the list as well. They seem to be used a lot by the clergy and lay people love the take on the parables. My intent has always been to turn Scripture on its head to help others see the freedom we’ve been given in Christ. And like the sustaining bass notes in an organ piece, my underlying message has always been the constancy of God’s Grace. Looking back at a life of ordained ministry, what encouragement do you have to those in the Church? Especially those who are disheartened by the lack of grace? We are surrounded by grace, the lack is in us. Our inability to be still and know God is our major stumbling block. Grace abides, is free, amazing and available 24/7. We aren’t in the Church, we are the Church—God help us! Finally, you’ve been retired for over ten years. Do you have any recent thoughts that have emerged that could be encouraging to us? When you keep Jesus as the ground of your being and the center of your life, retirement is no different from an active work life. Jesus is my Saviour, my Friend, and my Lover. I pray as constantly as is possible, I translate from the Greek daily as Valerie and I celebrate Holy Eucharist and I will continue thus in His glorious and loving holding of me till we meet face to face. Oh man, Capon is the best. I’ve just discovered him this year via Steve Brown, and the man is like an ice pick to the soul. I’ve just started “The Astonished Heart” and one thing that he seems to be doing is try to transcend the conservative/liberal chasm in the church. He makes it sound like Gospel 101. I just can’t believe more people aren’t picking up that ball and running with it, I can’t believe that more people don’t know about Capon. I could go on for about six pages, but that’s probably not wise, so I’ll close out here. Also, was this interview in person or over the phone or what? Just curious. I love Capon and his writing. May we always run the risk of overemphasizing grace, for it is a risk that will never be realized. Thanks for this interview.